Does Your Site Reflect Your Professionalism, Or Damage It? Home » Is Your Site Hurting Your Reputation? If you’re like most small business owners or startup entrepreneurs, you’ve poured a lot of time, not to mention blood, sweat and more than a few tears into your venture. And there’s a good chance you did it while bootstrapping on a shoestring budget. You are rightfully proud of your venture and how far it has come, and you’re happy to talk about it with anyone and everyone you meet. But what if a person’s first impression of your business or service is based on viewing your website, rather than meeting you? Does your site reflect your own professionalism, or does it look like it was created by someone learning how to create a web site for the first time? If it tends more towards the latter it’s not your fault! You are not a web designer by profession, and yet you may feel that you need to be one in order to have your own web site without having the means to hire a big agency to create it for you. If you feel your site displays a bit more like a dog’s breakfast than a prime rib dinner (sorry vegetarians, it was the first metaphor that came to mind), here are a few key elements you can tweak to make sure your site creates a great first impression. When someone visits your site, how fast the site loads is the first thing they will encounter. If it takes more than about eight seconds for your web page to load, you may not even get to make that first impression because they’ll be off to the next site. So optimizing your site so that it loads quickly is one of the first things you should focus on. Once you’ve done that, the next thing is to make sure your site looks great on all types of devices, not just on a computer screen. So many people use their phones to view the web these days that you have to have a mobile-responsive site to look professional. 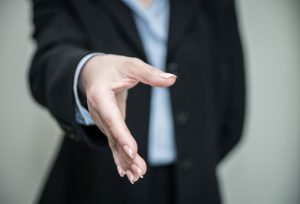 Here’s why; let’s say you meet someone at a networking event. An hour later, when they are waiting for their coffee to cool enough so they can take a sip, they pull out your business card and call up your site on their phone. It makes sense, they met you and want to learn a bit more about you. If your site is difficult to view on their phone, you’ve missed a great opportunity. And what about the overall effect someone gets when they view your site? Does your site match the person they met at the event, or do they cringe a little and reassess their first impression of you? If you’re trying to impress upon people your high attention to detail, make sure you don’t have typos on your page. If you want to be considered knowledgeable and trustworthy, you probably don’t want to use Comic Sans as your primary font. If your style of communicating with people is clear and concise, the layout of your site should reflect that. Eyes should feel naturally drawn to the content on the page, and not feel like everything is fighting for their attention. It’s an old adage but it’s so true – you only get one chance to make a first impression. One of the great things about using WordPress is that you can tweak things like fonts and colors and content layout without investing a lot of time or effort. So even if your site has been online for a while, you can still make small changes to create a better first impression and reflect your professionalism. What other things affect your first impression of a business when you visit their site? Share your thoughts below. Hello there! I know this is kind of off topic but I was wondering which blog platform are you using for this website? I’m getting sick and tired of WordPress because I’ve had problems with hackers and I’m looking at alternatives for another platform. Thanks for the kind compliment! The funny thing is, the day after you posted your comment, we switched to a brand new makeover for our site. In many ways it looks very similar to our old site, but we spent a lot of time rebuilding it with an eye to SEO, and a better user experience. To answer your question about the WordPress theme, we tend to favor the Total theme from WPExplorer. We love it because it is very flexible and allows us to rebuild existing sites for customers when they don’t want to change the look of their site, but the theme they used is no longer updated or supported by the developer. We have yet to find a look that we cannot replicate using the Total theme.